Home » how-to	» What Are Stitch Markers Used For? Pretty much any time I frontload some work which seems like a lot of extra effort, but that will save me time and hassle in the longrun. This is how I feel about stitch markers. They’re certainly not necessary for most of the projects that call for them, but if you know how to use them in the right way, you’ll be saving yourself a TON of time, and headaches…I promise. 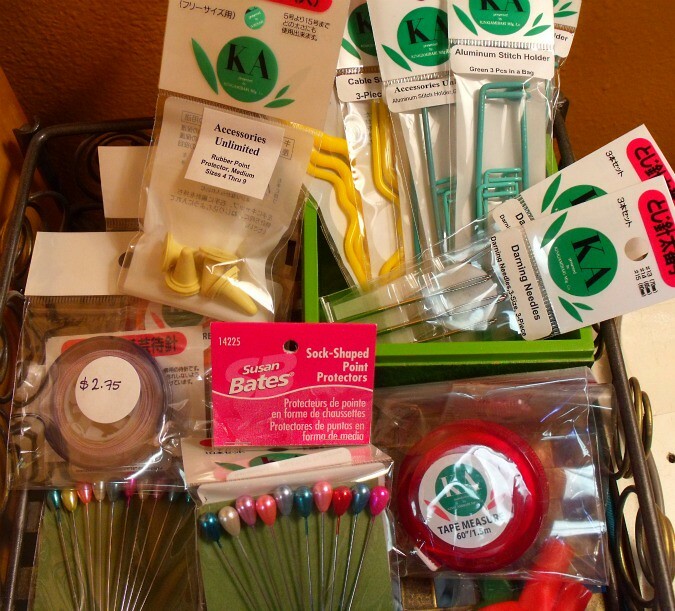 If you’re new to the world of knitting, you may find yourself trying to wade through all these accessories and notions that come along with it. Stitch markers are the most commonly used among all these, and you’ve you’ve probably seen them referenced in nearly any pattern you’ve attempted. So what exactly are these things, and how do you use them? 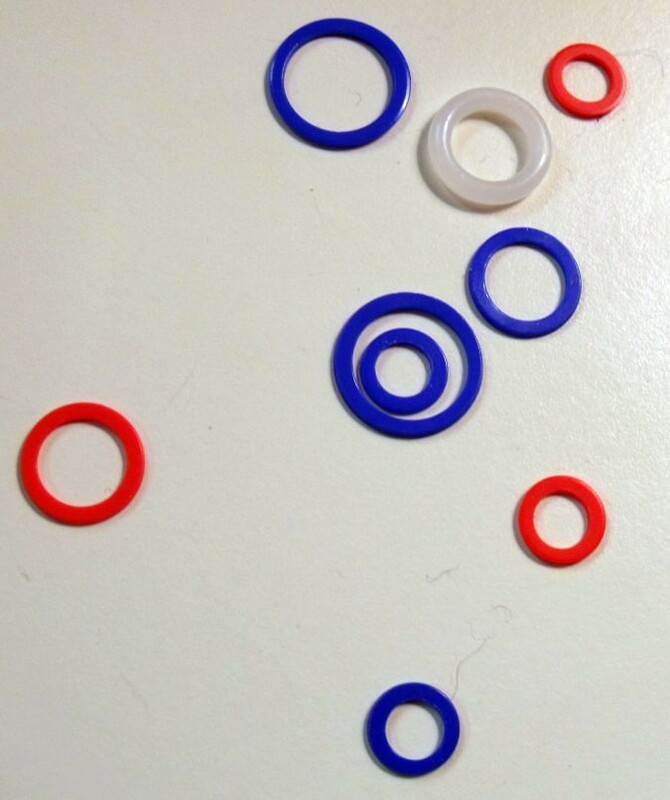 There are two kinds of stitch markers: closed, and split. 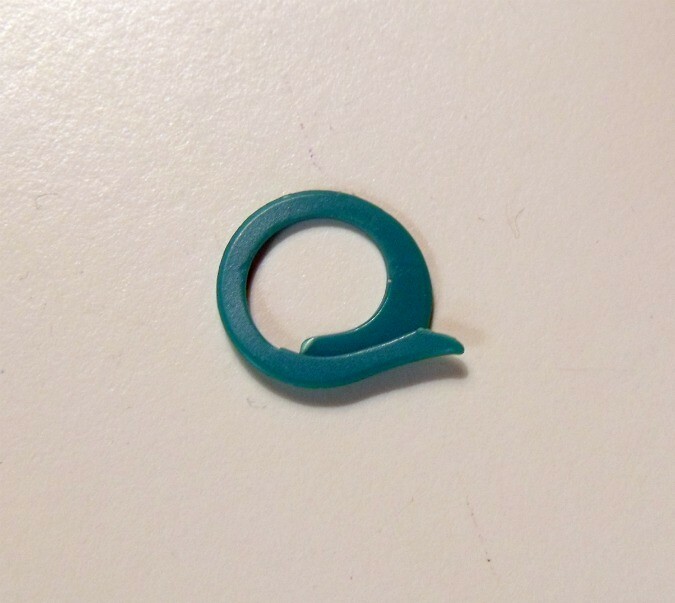 These little rings just slip right onto your needle, in between stitches (or hanging off of the stitch itself, if you’re using split markers). Simply put, stitch markers are there to take the burden of counting off your shoulders. 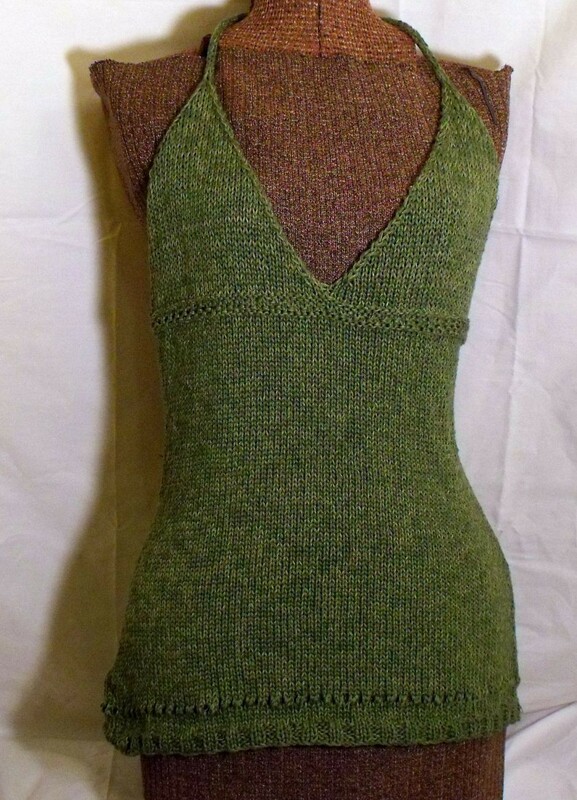 Let’s say you’re working on a tank top, on a circular needle, with 140 stitches making up the circumference. 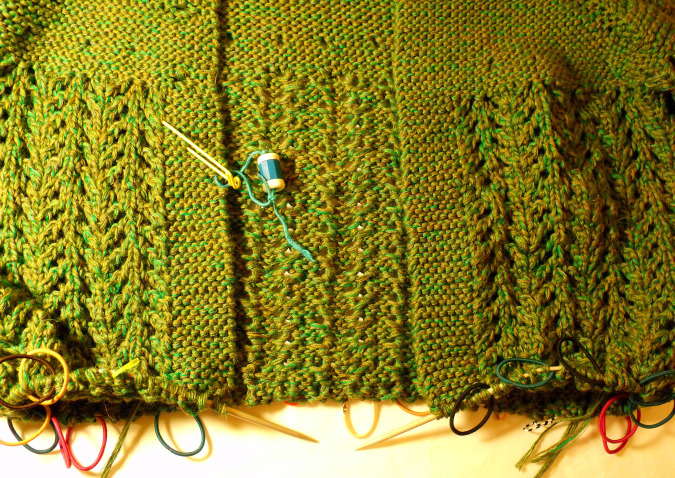 When you get to the waist shaping, you’ll need to taper those 140 stitches down by decreasing on either side. If you’re counting to 70 in your head in between each decrease, you’re making it too hard for yourself! Instead, you can just count to 70 on your very first trip around the needles, toss a stitch marker on the needle, and then all you’ll need to remember is to decrease (K2tog) on each side of this marker, every time you pass it on each round. (When you get to the marker, all you need to do is slip it from one needle to the other.) 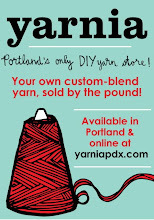 Look at all the mental energy you’ve just freed up for listening to your favorite podcast while you knit! So that’s the primary convenience of a stitch marker: it’s your signal to do something different from the norm, when you meet up with it on your needles. But, stitch markers can also help you count. Let’s say you’re starting a big project, and you need to cast on 100 stitches. Sure you can keep track in your head as you go, but getting derailed after you’ve already cast on 50+ stitches can be a huge pain. 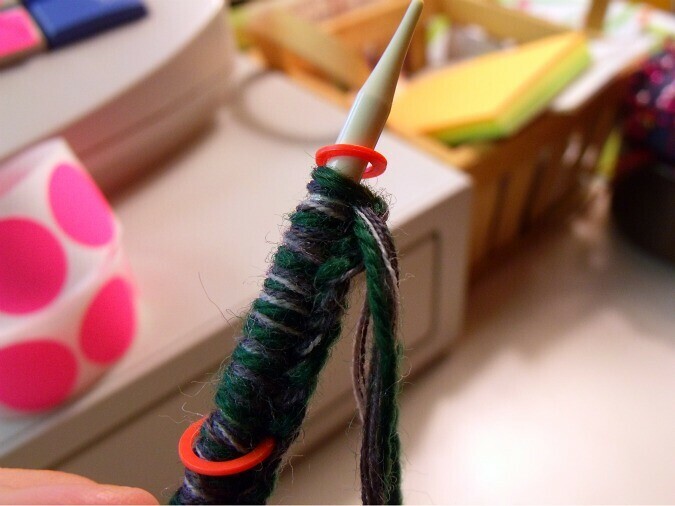 Instead, slip a stitch marker on your needle after every 10 stitches. If you lose count and want to verify how many stitches you’ve cast on so far, all you need to do is count your stitch markers and multiply by 10. And finally, let’s talk about lace. A lace chart like this one will show you one repeat of the lace pattern, and assume that you will repeat these 8 stitches over and over, until the end of the round. Now of course it’s possible to work this lace chart without stitch markers, but think about how frustrating it would be to get to the end of a row of 160 stitches, and to realize that you have an extra two stitches unaccounted for — that means somewhere along the way your counting got off, and the pattern for that row will be shifted. However, if you place a stitch marker after each 8-stitch repeat, you can easily isolate the problem and spot where you went wrong. In fact, I find that just the act of placing and slipping the markers forces me to double-check every repeat and make sure I’m not off track. Moral of the story? Add a pack of stitch markers to your knitting bag, stat. You won’t regret it. 7 Responses to What Are Stitch Markers Used For? Good idea for a post. I have done some lace knitting. I may need to use stitch markers for my next lace project to keep track of the stitches. You won't believe how helpful they can be! This article vindicates my use of copious amounts of stitch markers (and safety pins) when casting on and with patterns that repeat. Someone once told me I was being overly OCD. Nonetheless, it saves a huge amount of time. I agree! It might look silly to have dozens of markers hanging off of your work, but can save you so much time in the end, when the alternative is having to rip back rows to figure out where a mistake was made. I would be lost without using stitch markers for certain projects. However I have learned to be careful about using the closed white ones because they leave a line on some garments. Sometimes I make my own with extra pieces of yarn. I like the idea of using hair elastic s.
That’s true, Sara. I often try to make my stitches on either side of the closed markers (which I personally prefer) intentionally tighter to try and combat these lines that you’re talking about. If you have nothing else, you can always take some of the scraps that are in the bottom of everyone’s knitting bag, cut off small pieces and tie them on to the needle as temporary markers to keep going until you get some regular stitch markers.